H.G. Wells Herbert George (H. G.) Wells was born in Bromley, Kent, England on September 21, 1866. He was a prolific chess writer and a bad chess player. He included chess in many of his stories and wrote an essay called Concerning Chess in the late 19th century, which was published in 1897 in his book Certain Personal Matters: A Collection of Material, Mainly Autobiographical. He was nominated for the Nobel Prize in Literature four times. 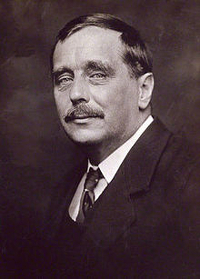 H. G. Wells became a famous English novelist and social commentator, chiefly known as a founder of the science fiction genre. Many of his stories mention chess or have a chess theme. Besides his novels, he wrote 87 short stories. In his science fiction, Wells predicted trench warfare, aerial bombardment, poison gas, the atomic bomb, and world war. In 1890, Wells earned a Bachelor of Science degree in zoology (he studied under T.H. Huxley) and taught biology at Henley House School. He seems to have learned chess around 1891 and played with his father, Joseph, and brother, Fred. In 1891, Wells married his cousin Isabel Mary Wells. The couple agreed to separate in 1894 when he fell in love with one of his students, Amy Catherine Robbins (later known as Jane) whom he married in 1895. They played chess together according to his autobiography. In the early 1890s, Wells wrote a humoresque chess story, which he contributed anonymously to the Pall Mall Budget. In 1894, Wells' essay, "Bleak March in Epping Forest," was first published in the Pall Mall Gazette on March 16, 1894. It was later published in Certain Personal Matters: A Collection of Material, Mainly Autobiographical in 1897 as part of a collection of 39 essays. Wells writes of playing chess at a hotel until a train arrives. "The passion for playing chess is one of the most unaccountable in the world. It slaps the theory of natural selection in the face. It is the most absorbing of occupations, the least satisfying of desires, an aimless excrescence upon life. It annihilates a man. You have, let us say, a promising politician, a rising artist, that you wish to destroy. Dagger or bomb are archaic, clumsy, and unreliable--but teach him, inoculate him with chess! It is well, perhaps, that the right way of teaching chess is so little known, that consequently in most cases the plot fails in the performance, the dagger turns aside. Else we should all be chess-players--there would be none left to do the business of the world. Our statesmen would sit with pocket boards while the country went to the devil, our army would bury itself in chequered contemplation, our bread-winners would forget their wives in seeking after impossible mates. The whole world would be disorganised. I can fancy this abominable hypnotism so wrought into the constitution of men that the cabmen would go trying to drive their horses in Knights' moves up and down Charing Cross Road. And now and again a suicide would come to hand with the pathetic inscription pinned to his chest: "I checked with my Queen too soon. I cannot bear the thought of it." There is no remorse like the remorse of chess. Only, happily, as we say, chess is taught the wrong way round. People put out the board before the learner with all the men in battle array, sixteen a side, with six different kinds of moves, and the poor wretch is simply crushed and appalled. A lot of things happen, mostly disagreeable, and then a mate comes looming up through the haze of pieces. So he goes away awestricken but unharmed, secretly believing that all chess-players are humbugs, and that intelligent chess, which is neither chancy nor rote-learned, is beyond the wit of man. But clearly this is an unreasonable method of instruction. Before the beginner can understand the beginning of the game he must surely understand the end; how can he commence playing until he knows what he is playing for? It is like starting athletes on a race, and leaving them to find out where the winning-post is hidden. Your true teacher of chess, your subtle chess-poisoner, your cunning Comus who changes men to chess-players, begins quite the other way round. He will, let us say, give you King, Queen, and Pawn placed out in careless possible positions. So you master the militant possibilities of Queen and Pawn without perplexing complications. Then King, Queen, and Bishop perhaps; King, Queen, and Knight; and so on. It ensures that you always play a winning game in these happy days of your chess childhood, and taste the one sweet of chess-playing, the delight of having the upper hand of a better player. Then to more complicated positions, and at last back to the formal beginning. You begin to see now to what end the array is made, and understand why one Gambit differeth from another in glory and virtue. And the chess mania of your teacher cleaveth to you thenceforth and for evermore. It is a curse upon a man. There is no happiness in chess--Mr. St. George Mivart, who can find happiness in the strangest places, would be at a loss to demonstrate it upon the chess-board. The mild delight of a pretty mate is the least unhappy phase of it. But, generally, you find afterwards that you ought to have mated two moves before, or at the time that an unforeseen reply takes your Queen. No chess-player sleeps well. After the painful strategy of the day one fights one's battles over again. You see with more than daylight clearness that it was the Rook you should have moved, and not the Knight. No! it is impossible! No common sinner innocent of chess knows these lower deeps of remorse. Vast desert boards lie for the chess-player beyond the gates of horn. Stalwart Rooks ram headlong at one, Knights hop sidelong, one's Pawns are all tied, and a mate hangs threatening and never descends. And once chess has been begun in the proper way, it is flesh of your flesh, bone of your bone; you are sold, and the bargain is sealed, and the evil spirit hath entered in. The proper outlet for the craving is the playing of games, and there is a class of men--shadowy, unhappy, unreal-looking men--who gather in coffee-houses, and play with a desire that dieth not, and a fire that is not quenched. These gather in clubs and play Tournaments, such tournaments as he of the Table Round could never have imagined. But there are others who have the vice who live in country places, in remote situations--curates, schoolmasters, rate collectors--who go consumed from day to day and meet no fit companion, and who must needs find some artificial vent for their mental energy. No one has ever calculated how many sound Problems are possible, and no doubt the Psychical Research people would be glad if Professor Karl Pearson would give his mind to the matter. All the possible dispositions of the pieces come to such a vast number, however, that, according to the theory of probability, and allowing a few thousand arrangements each day, the same problem ought never to turn up more than twice in a century or so. As a matter of fact--it is probably due to some flaw in the theory of probability—the same problem has a way of turning up in different publications several times in a month or so. It may be, of course, that, after all, quite "sound" problems are limited in number, and that we keep on inventing and reinventing them; that, if a record were kept, the whole system, up to four or five moves, might be classified, and placed on record in the course of a few score years. Indeed, if we were to eliminate those with conspicuously bad moves, it may be we should find the number of reasonable games was limited enough, and that even our brilliant Lasker is but repeating the inspirations of some long-buried Persian, some mute inglorious Hindoo, dead and forgotten ages since. It may be over every game there watches the forgotten forerunners of the players, and that chess is indeed a dead game, a haunted game, played out centuries ago, even, as beyond all cavil, is the game of draughts. The artistic temperament, the gay irresponsible cast of mind, does what it can to lighten the gravity of this too intellectual game. To a mortal there is something indescribably horrible in these champions with their four moves an hour--the bare thought of the mental operations of the fifteen minutes gives one a touch of headache. Compulsory quick moving is the thing for gaiety, and that is why, though we revere Steinitz and Lasker, it is Bird we love. His victories glitter, his errors are magnificent. The true sweetness of chess, if it ever can be sweet, is to see a victory snatched, by some happy impertinence, out of the shadow of apparently irrevocable disaster. And talking of cheerfulness reminds me of Lowson's [William Lowson (1814-1893 and President of the Dundee Chess Club] historical game of chess. Lowson said he had been cheerful sometimes--but, drunk! Perish the thought! Challenged, he would have proved it by some petty tests of pronunciation, some Good Templar's shibboleths. He offered to walk along the kerb, to work any problem in mathematics we could devise, finally to play MacBryde at chess. The other gentleman was appointed judge, and after putting the antimacassar over his head ("jush wigsh") immediately went to sleep in a disorderly heap on the sofa. The game was begun very solemnly, so I am told. MacBryde, in describing it to me afterwards, swayed his hands about with the fingers twiddling in a weird kind of way, and said the board went like that. The game was fierce but brief. It was presently discovered that both kings had been taken. Lowson was hard to convince, but this came home to him. "Man," he is reported to have said to MacBryde, "I'm just drunk. There's no doubt in the matter. I'm feeling very ashamed of myself." It was accordingly decided to declare the game drawn. The position, as I found it next morning, is an interesting one. Lowson's Queen was at K Kt 6, his Bishop at Q B 3, he had several Pawns, and his Knight occupied a commanding position at the intersection of four squares. MacBryde had four Pawns, two Rooks, a Queen, a draught, and a small mantel ornament arranged in a rough semicircle athwart the board. I have no doubt chess exquisites will sneer at this position, but in my opinion it is one of the cheerfulest I have ever seen. I remember I admired it very much at the time, in spite of a slight headache, and it is still the only game of chess that I recall with undiluted pleasure. And yet I have played many games. In March 1895, "Of Cleverness: Apropos of One Crichton," was first published by HG Wells in the National Observer on March 9, 1895. It was later published in Certain Personal Matters: A Collection of Material, Mainly Autobiographical in 1897 as part of a collection of 39 essays. Wells doubted the value of cleverness, as exemplified by his friend Crichton, who pleads for a return to dullness. Wells mentioned that Crichton "invariably beats me at chess, invariably." In March 1895, Wells published The Moth (aka "A Moth — Genus Novo" [new genus]). It was first published in the March 28, 1895, edition of Pall Mall Gazette, a London evening newspaper, and collected in The Stolen Bacillus and Other Incidents, also published in 1895. The story was a satire of two biologists in the discovery of a new species of moth. Wells wrote, "So Hapley turned to chess, and found it a little more soothing. He soon mastered the moves and the chief gambits and commoner closing positions, and began to beat the Vicar. But then the cylindrical contours of the opposite king began to resemble Pawkins standing up and gasping ineffectually against checkmate, and Hapley decided to give up chess." In the novel, Wells describes a new moth as "Something about the head and body of the insect became singularly suggestive of Pawkins [a rival professor to Hapley], just as the chess king had been." Etymologist Paul Hapley was bothered by a moth while thinking about a chess problem. Wells wrote, "But half-way over the down, by the chalk pits, the moth came upon Hapley again. He went on, trying to keep his mind upon chess problems, but it was no good." In April 1895, HG Wells wrote Wayde's Essence, which was first published in New Budget on April 18, 1895. Manningtree (who sells a phony elixir to Wayde) tells Wayde the politician, "You know, I take rather an interest in you, Wayde. You're curious. That Botch, for instance, wasn't your master at chess. I've studied his games." Wells then wrote, "Manningtree remained sitting on the board and seemed to meditate chess for a moment." In August 1895, H.G. Wells wrote The Wheels of Chance; A Bicycling Idyll. The story is about a humorous account of a man's cycling holiday in the south of England. Wells wrote that there was horse that looked like a long-nosed chess knight. In September 1895, Wells wrote the novel The Wonderful Visit. It tells how a fallen angel who spends time in Victorian England. In chapter 18 ("After Dinner") Wells mentions that the English vicar, Rev K. Hilyer, who shot the angel in the wing, plays chess. The vicar tells the angel, "I live, I am afraid, a quiescent life, duties fairly done, a little ornithology, and a little chess..."
In his essay "The Pleasure of Quarrelling," Wells wrote that quarrelling was like chess. The essay was published in Certain Personal Matters: A Collection of Material, Mainly Autobiographical in 1897. In 1895, Wells wrote The War of the Worlds, the first alien invasion story, which was serialized in 1897 in the UK by Pearson's Magazine and in the US by Cosmopolitan magazine. In 1898, the novel appeared in hardcover. In chapter 7, a couple of his characters (the unnamed protagonist and an artilleryman) played chess during the Martian invasion near Surrey, England. He wrote, "Afterwards he taught me poker and I beat him at three tough chess games. ...After an interminable string of games, we supped, and the artilleryman finished his champagne." In 1898, Wells wrote When the Sleeper Wakes (rewritten as The Sleeper Awakes in 1910). It was originally published in The Graphic from 1898 to 1903. It is about a man who falls asleep and wakes up 200 years in the future. Wells wrote that players were learning chess faster while they were in trances. Wells wrote, "Instead of years of study, candidates had substituted a few weeks of trances, and during the trances expert coaches had simply to repeat all the points necessary for adequate answering, adding a suggestion of the post hypnotic recollection of these points. In process mathematics particularly, this aid had been a singular service, and it was now invariable invoked by such players of chess and games of manual dexterity as were still to be found." In 1901, Wells wrote Anticipations of the Reaction to Mechanical and Scientific Progress upon Human Life and Thought. The chapters of Anticipations appeared in Great Britain in the Fortnightly Review (April-December 1901) and in the North American Review (Jun-November 1901) in the United States. It was published as a book on November 1901, which became Wells's first non-fiction bestseller. The book was an explanation of Wells' vision of the New Republic. There were several references to chess in the book. He wrote that Napoleon I was a "speedily futile chess champion." He wrote that "kingcraft" and "priestcraft" were "an equality as little affected by colour as the equality of a black chess pawn and white..." Wells compared sexual relations with chess. He wrote, "...sexual questions become no more importance than the morality of one's deportment at chess..."
In 1903, Wells wrote Twelve Stories and a Dream. In the 9th story, called "Mr. Ledbetter's Vacation," Wells wrote that Mr. Ledbetter was a sacerdotalist (priest) and a chess player. In April 1905, Wells published A Modern Utopia in book form. It had been serialized in the Fortnightly Review from October 1904 to April 1905. He compared a Utopia without rulers to chess. He wrote, "And the difficulty in this question is not simply the difficulty of a complicated chess problem, for example, in which the whole tangle of considerations does at least lie in one plane, but a series of problems upon different levels and containing incommensurable factors." In 1906, Wells wrote the science fiction novel In the Days of the Comet. A societal transformation occurs that results from an altering of the earth's atmosphere after a comet hits the earth. He talked about playing chess full of foul air. He wrote, "Try to play chess under such conditions and you will play stupidly and lose your temper." He wrote that chess was a very good pastime. He wrote Jews turned "life into a sort of mercantile chess..."
In 1907, Wells wrote the military science fiction novel The War in the Air, which was published in 1908. One of his characters, Graf von Winterfeld, plays chess problems in his head to while away the time. In 1910, Wells wrote The New Machiavelli, which was published as a novel in 1911. It was serialized in The English Review in 1910. He wrote that one of his characters, Lord Arthur Cossington, played chess very well. 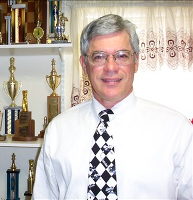 He also mentions a men's club that have a group of "highly specialized chess-players." In 1913, Wells simplified the game of Kriegspiel (a chess variant), added a mechanical cannon, and sold the toy soldier package as Little Wars. He included an appendix on the game of Kriegspiel. He mentioned that that his game of Little Wars was different than chess because you had five minutes or less to make a move (before blitz chess became popular). In September 1913, Wells wrote The Passionate Friends. He writes of Justin, "In that queer big brain of his there is something of the calculating boy and not a little of the chess champion." In September 1916, Wells wrote Mr. Britling Sees It Through. Mrs. Britling plays a chess game with Mr. Britling and beats him. Wells wrote, "It was over the chessboard that they first began to discover their extensive difficulties of sympathy. Mr. Britling's play was characterized by a superficial brilliance, much generosity and extreme unsoundness; he always moved directly his opponent had done so — and then reflected on the situation. His reflection was commonly much wiser than his moves. Mrs. Britling was, as it were, a natural antagonist to her husband; she was as calm as he was irritable. She was never in a hurry to move, and never disposed to make a concession. Quietly, steadfastly, by caution and deliberation, without splendour, without error, she had beaten him at chess until it led to such dreadful fits of anger that he had to renounce the game altogether." In 1916, Wells wrote What is Coming? A Forecast of Things after the War. He compared chess to learning a language. He wrote, "Learning a language is one thing and memorizing an illogical system of visual images — for that is what reading ordinary English spelling comes to — is quite another. A man can learn to play first chess and then bridge in half the time that these two games would require if he began by attempting simultaneous play, and exactly the same principles applies to the language problem." In 1917, Wells wrote the novel The Soul of a Bishop. Two of the characters, Phoebe Walshingham and Mr. Blent, play chess. In 1918, Wells wrote Joan and Peter. When Oswald talked to Jane, Wells wrote, "She was no more deeply interested than if he had been discussing some problem at chess..."
In 1919, Wells wrote Undying Fire. He has God and Satan playing chess together, but on a different scale. He wrote, "But the chess they play is not the little ingenious game that originated in India; it is on an altogether different scale. The Ruler of the Universe creates the board, the pieces, and the rules; he makes all the moves; he may make as many moves as he likes whenever he likes; his antagonist, however, is permitted to introduce a slight inexplicable inaccuracy into each move, which necessitates further moves in correction. The Creator determines and conceals the aim of the game, and it is never clear whether the purpose of the adversary is to defeat or assist him in his unfathomable project. Apparently the adversary cannot win, but also he cannot lose so long as he can keep the game going. But he is concerned, it would seem, in preventing the development of any reasoned scheme in the game." In 1920, an H.G. Wells played for the Middlesex Chess Club on Board 31 and lost his match with a player from the Surrey Chess Club. It is not clear if this is the Herbert George Wells the science fiction writer. He would have been 53 when the match was played and he did live in Essex, which might have made him eligible to play for Middlesex. In 1922, Wells wrote A Short History of the World. An article called 'A Wolf on the Fold' that appeared in the March 30, 1938 issue of Australasian Chess Review, mentioned that Wells was a chess player and that he mentions the eminence of the Jewish race in chess. The article had the following: "He [Wells] appears to attribute it entirely to an innate sense of values — a capacity for judging between relative gains and losses with utmost subtlety. This is almost certainly a factor, but one could also argue from the fact of racial oppression. The reaction to the oppression has been a tendency among Jews to strive to excel in whatever they take up, whether it be commerce, mathematics, chess or purely artistic spheres in which H.G. Wells' ideas would not apply." (source" Edward Winter's article on Chess and Jews). In 1934, H.G. Wells wrote Experiment in Autobiography: Discoveries and Conclusions of a Very Ordinary Brain (Since 1866). He wrote, "I lose at chess to almost anyone..." He wrote that his mother was never able to master the mysteries of chess. He mentioned that one of his teachers "was like some very ordinary chess player who had undertaken to play thirty games of chess simultaneously." He wrote that his father "was playing chess, by correspondence, with my mother-in-law when he was in the late seventies..." H.G. Wells mentions that he played chess with his father, a cricketer in his early days. Wells wrote, "We began chess together in these days but while he went on to a sound game, I found it too exacting and irritating, and gave it up." In 1893, he got sick and was confined to bed. He wrote, "I amused myself in my convalescence by playing chess with brother Fred. Hitherto he had always been the better player and I had been hasty and inaccurate. Now for a time I found all round him and he hadn't a chance with me." He died in London, England on August 13, 1945. In 1951, Vincent Brome wrote H. G. Wells: A Biography. Brome wrote that Wells was "bad, very bad, at chess." 1887, "A Tale of the Twentieth Century"
1887, "A Talk with Gryllotalpa"
1887, "A Vision of the Past"
1888, "The Devotee of Art"
1894, "A Deal in Ostriches"
1894, "The Hammerpond Park Burglary"
1894, "The Lord of the Dynamos"
1894, "How Gabriel Became Thompson"
1894, "In the Avu Observatory"
1894, "The Jilting of Jane"
1894, "The Man with a Nose"
1894, "The Thing in No. 7"
1894, "The Treasure in the Forest"
1894, "The Triumphs of a Taxidermist"
1895, "The Argonauts of the Air"
1895, "How Pingwill Was Routed"
1895, "Pollock and the Porroh Man"
1895, "The Story of Davidson's Eyes"
1895, "The Temptation of Harringay"
1896, "A Slip Under the Microscope"
1896, "The Story of the Late Mr. Elvesham"
"Thoughts on Cheapness and My Aunt Charlotte"
"On the Choice of a Wife"
"The House of Di Sorno: A Manuscript Found in a Box"
"On Schooling and the Phases of Mr. Sandsome"
"The Poet and the Emporium"
"House-Hunting as an Outdoor Amusement"
"For Freedom of Spelling: The Discovery of an Art"
"Incidental Thoughts on a Bald Head"
"On the Art of Staying at the Seaside: a Meditation at Eastbourne"
"The Coal-Scuttle: A Study in Domestic Aesthetics"
"The Book of Essays Dedicatory"
"Through a Microscope: Some Moral Reflections"
"The Mode in Monuments: Stray Thoughts in Highgate Cemetery"
1897, "A Perfect Gentleman on Wheels"
1897, "The Presence by the Fire"
1897, "A Story of the Days to Come"
1897, "A Story of the Stone Age"
1898, "Jimmy Goggles the God"
1898, "The Man Who Could Work Miracles"
1899, "A Vision of Judgment"
1901, "A Dream of Armegeddon"
1902, "The Loyalty of Esau Common"
1903, "Mr. Skelmersdale in Fairyland"
1903, "The Truth About Pyecraft"
1903, "The Valley of Spiders"
1904, "The Country of the Blind"
1905, "The Empire of the Ants"
1906, "The Door in the Wall"
1907, Will Socialism Destroy the Home? 1910, "Little Mother Up the Morderberg"
1911, The Country of the Blind and Other Stories — mentions chess in the story "The Moth"
1915, "The Story of the Last Trump"
1915, "The Wild Asses of the Devil"
1924, "The Pearl of Love"
1926, Mr. Belioc Objects to "The Outline of History"
1932, "The Queer Story of Brownlow's Newspaper"